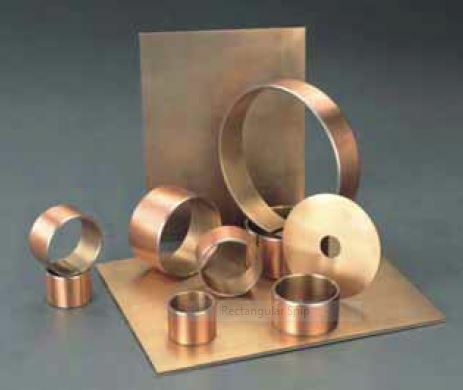 Metallic Self Lubricating Bearings - CSB Sliding Bearings India Pvt. 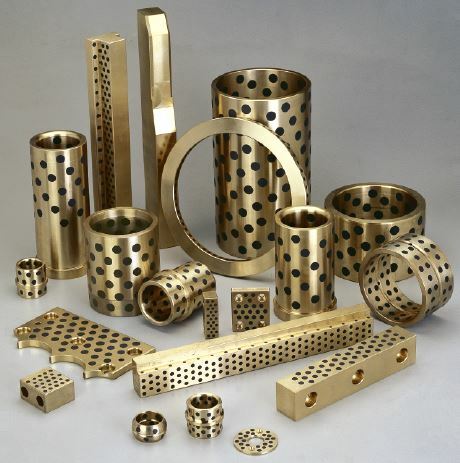 Ltd.
CSB850BM metal backed bronze with graphite lined bearing materials, sintered layers are of special copper alloy containing uniformly dispersed solid lubricants. The solid lubricant will be released at the bearing surface as wear occurs. To aid the running-in process, a thin film of solid lubricant can be applied to the bearing surface. This will be ensure a consistently low coefficient of friction with total freedom from stick-slip, even from initial assembly. The inner side can be machined after the parts fixed to get high tolerance.